A gardening friend of mine sent this picture of the Clematis blooming in her yard. It might not be waterwise, but it can tolerate Utah's harsh climate. 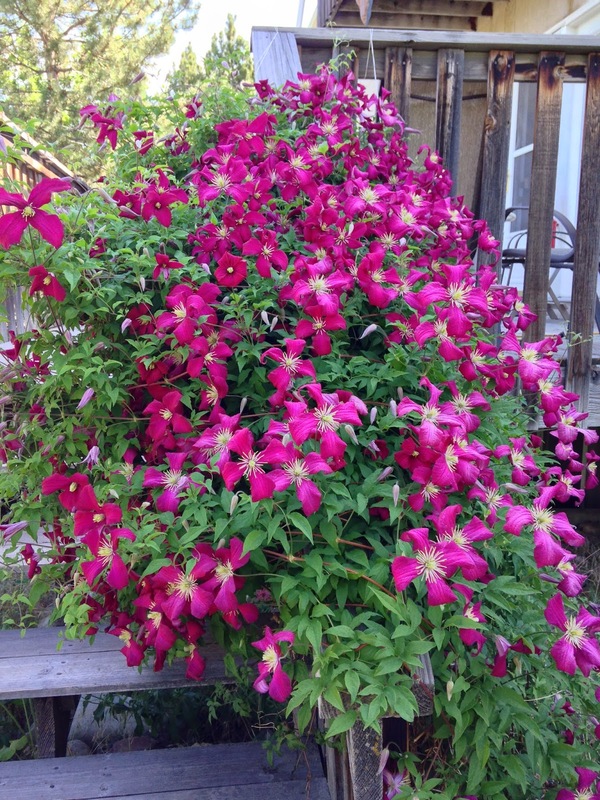 Bringing dramatic color to the June garden, Clematis is a climbing vine, so it needs a structure to cling to. Plant it in full sun (at least 5 hours per day) - it is awesome in or near a rose garden because they bloom at the same time! Clematis grows well in Utah!